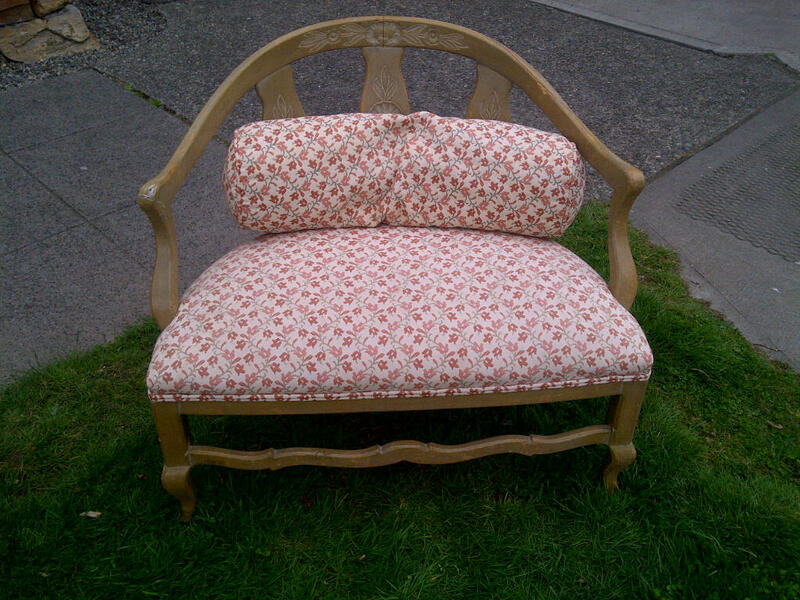 You all know my extreme love of all things garage/rummage/estate sale related. I even found myself wanting to stop at sales while we were in Idaho last weekend- vacation garage saling sounds much fancier don't you think? Don't worry I didn't embarrass myself by asking our hosts to take me to any sales, but I did think about it. Prices have to be cheaper in Idaho right??? This could possibly be the start of an addiction.... one that ends on the Hoarders show instead of in rehab. Until I get to the point where I can star in my own Hoarders episode, I will continue to go to sales and buy things I may or may not need. Inevitably I find things that I love but can't have. Either because they are completely impractical for my house, I have no space for them, Chris hates them (I send him pics), I think Chris will hate them or they are too expensive. ﻿Sometimes I have to laugh at the random/weird items that people try to sell or how they sell them. I mean, the person selling this clearly had no filter, and a horrible sense of how to merchandise. 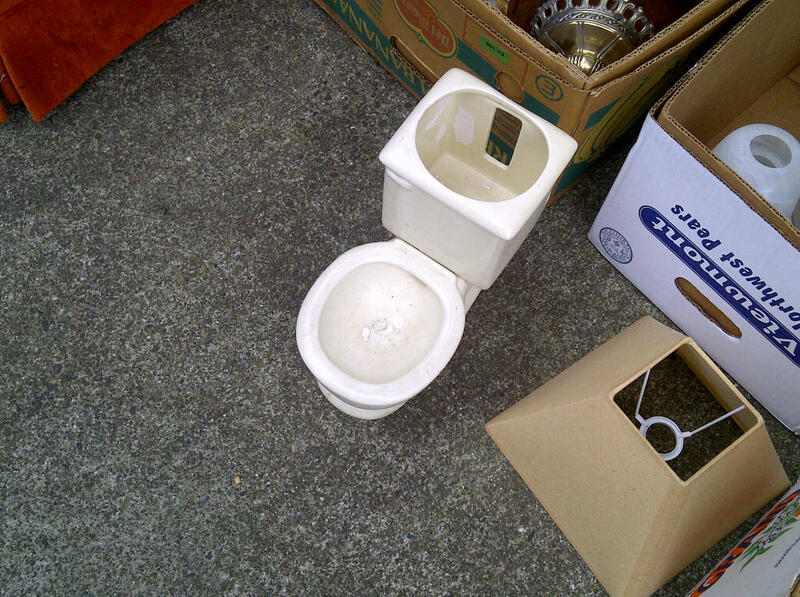 They left everything in boxes that people had to dig through, but then they pulled out this toilet to highlight?? I wonder if they sold anything at all. Probably not, as this mini toilet was pretty much the highlight. I'm headed out to do some serious yard saling this weekend as long as it is sunny out- I don't sale in the rain. Wish me luck!